Keeping a bonsai tree is a great way to release your creativity and one of the excellent bonsai tree to begin with is the Baby Jade. Baby Jade is a Succulent Bonsai and is also known as the Small Leaf Jade or the Elephant Plant. It is usually found in South Africa. The Baby Jade does not need much watering and is very suitable to be kept at home or office. Baby Jade is a kind of bonsai that grows pretty fast and it is not like the other bonsais that need regular watering. It can survive with no water for a long time. As Baby jade is a succulent, it stores water in its trunk, leaves as well as its branches. The jade normally grows up to three to four meters in their natural habitat. 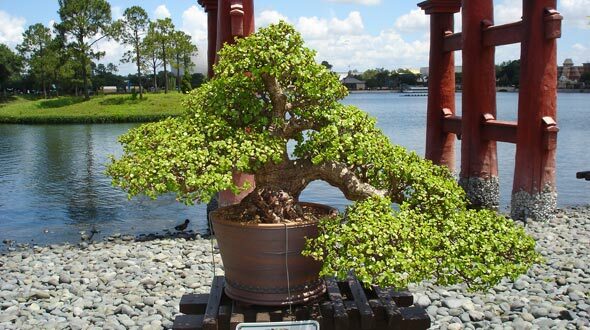 The jade bonsai can be taken care of without any trouble and it looks very graceful as well. Initially the bark of the plant is green it then turns into reddish brown and finally gray as time passes. It has thick round leaves. The jade plant blossoms pinkish purple flowers that are star shaped. As the Jade Bonsai Plant is a tropical plant it can tolerate temperatures anything below 50 degrees Fahrenheit. If the temperature where you live is hot then you can place your bonsai in full sunlight and if you live in a place that has cold climate them it is better to set your bonsai indoor where there is sufficient light. Make sure that you water regularly till the soil is wet and allow the soil to dry before watering the next time. Remember not to water the bonsai in excess. Trimming and giving a shape to the bonsai is also important and whenever you plan to trim the roots and the heavy branches make sure that the soil is dry. If you have made any kind of cuts see that you water carefully till the cut heal back. In case you feel like stopping the branch from growing then get rid of the terminal bud. In order to shape the bonsai trim the branches and buds that are developing in unwanted places. Make sure you nip it carefully with your fingers. Compared to all other bonsai plants, Baby Jade grows much faster so you will have to trim it very often. Baby Jade Bonsai has to be repotted once in two years. The best time for repotting is during early spring. Once you repot the bonsai place the pot in a shady area unless there is a fresh growth.